What are some fun ideas for how this tech could be used? 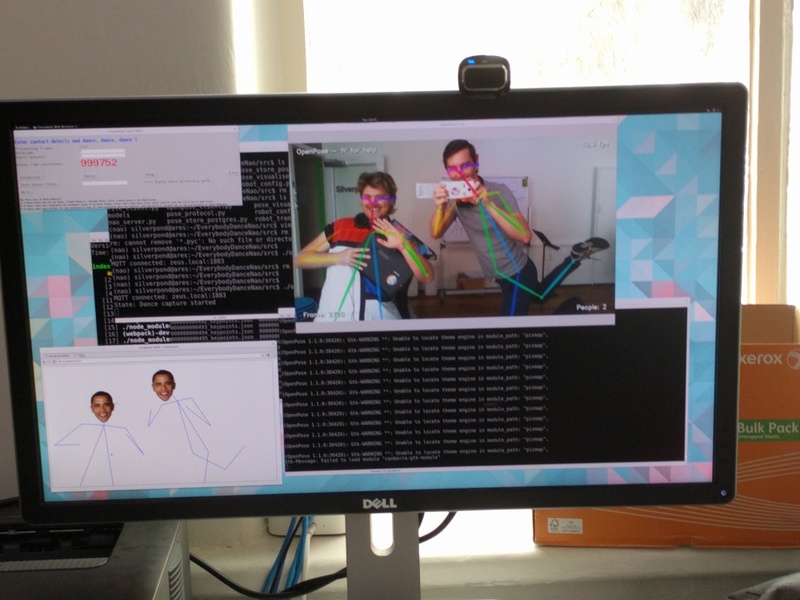 The differentiator with products like the Kinect is that pose-estimation works purely off video/image data, rather than requiring any augmented sensing. This commodifies the capability into any web-cam connected to the internet. Come along to the Deep-Dance Smackdown to see some of this technology in action.